Our work can bring us alive or deaden us a little bit each day. Which will you choose? Monica Worline is founder and Chief Enlivening Officer of EnlivenWork, an innovation organization that teaches organizations how to tap into their potential for courageous thinking, compassionate leadership, and the curiosity to bring their best work to life. 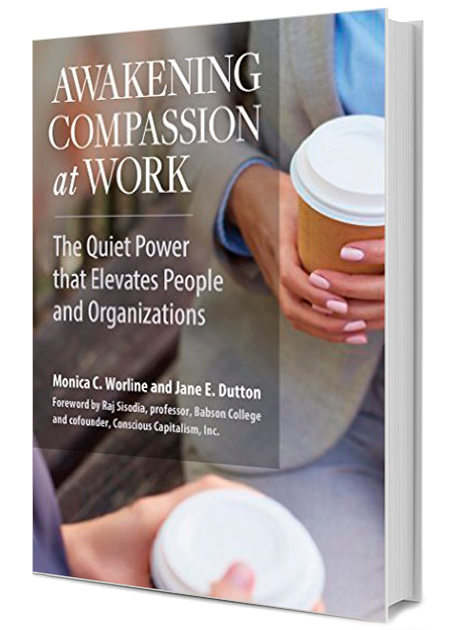 Monica is co-author of Awakening Compassion at Work, the first book to distill 20 years of research about compassion in the workplace into a set of usable and practical tools for change agents. Monica is passionate about creating a world of compassion architects who understand how to design the social architecture of our organizations for greater compassion and vitality. She is an affiliate faculty member at the University of Michigan’s Center for Positive Organizations and a research scientist at Stanford University’s Center for Compassion and Altruism Research and Education. Sign up for Monica Worline newsletter, and more.